Asserting that the "independence of judiciary is non-negotiable", Justice Lodha said it was for the CJI to take the institution forward by showing "statesmanship qualities" and taking his colleagues together. Former Chief Justice of India RM Lodha today termed the prevailing situation in the apex judiciary as "disastrous" and said though the CJI is the master of roster, the allocation of cases has to be "fair and in the interest of the institution". "The phase we are seeing at the Supreme Court today is, to say the least, disastrous. It is high time that collegiality is restored. The judges, though with their different approaches and different view points, must find a common ground that takes the Supreme Court forward. That maintains the independence of judiciary," Justice Lodha said at the launch of a book by former union minister Arun Shourie. Justice Lodha had faced a similar incident as in the case of Uttarakhand High Court Chief Justice KM Joseph during his tenure as the CJI when the NDA government had segregated the Collegium's recommendation and sought reconsideration of the name of senior advocate Gopal Subramanium as an apex court judge. Subramanium had later stepped aside from the race. "I always felt that independence of judiciary is non-negotiable and it is for the CJI, who is the leader of the court, to take them forward. 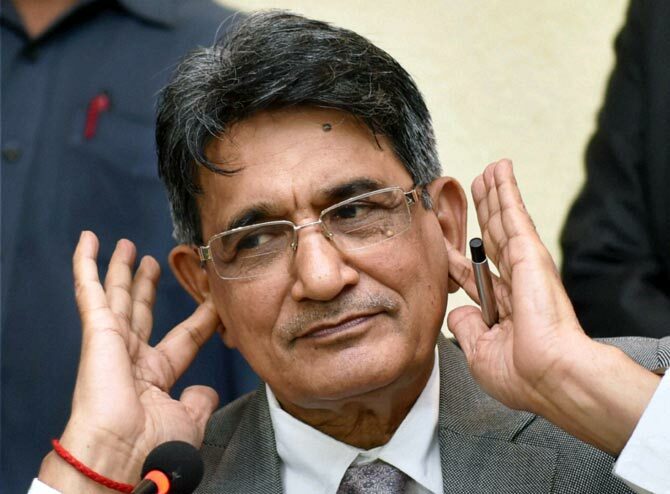 He has to show his statesmanship qualities, take all brothers and sisters together," Lodha said, without making any reference to the incumbent CJI Dipak Misra. Justice Lodha released the book titled "Anita Gets Bail", published by HarperCollins India, in which the former union minister deals with various judgments from the apex court to trial courts. Shah termed the recent verdict of the apex court on the death of special CBI judge B H Loya as "utterly wrong, and jurisprudentially, incorrect on so very many counts". He said that the apex court in the judge Loya case verdict had called it as a veiled attempt to attack on the judiciary and asked "How is asking for an investigation an attack on the judiciary?" "The system as a whole has evolved into something cold-hearted. Even with all this, the judiciary is still one of the last institutions that are respected, but that is changing," he said. "The press meet held by four senior judges of the Supreme Court earlier this year made allusions, in no cryptic terms, to the charge of selective allocation of cases, and the misuse of the power of master of the roster. This is a very serious issue and is nothing short of an allegation of bench packing," he said. "We cannot function without a judiciary that is independent, or without a justice system that is self-reflective, and is aware of its faults and wants to improve them," he said. Shourie said if CJI Misra has to "say repeatedly that he is the master of the roster ... this already means that he has lost the moral authority". He also advocated that the executive should be checked in order to prevent "totalitarian control of every institution" and said "if you do not stop them, they will go on. Most institutions are eroded from the inside".